2/3 grape must, 1/3 fine Champagne. 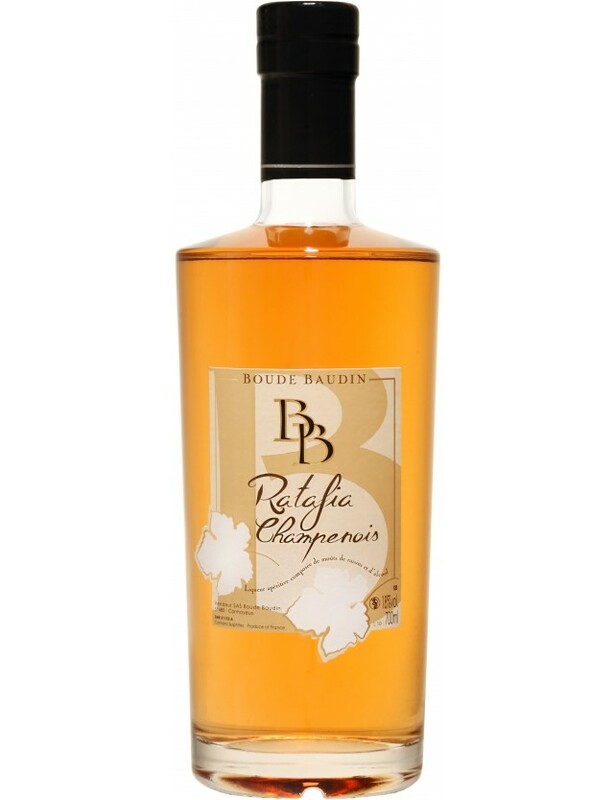 Bursting with richness and smoothness, this cuvée owes its character to the subtle blend of grape must and wine spirit.Visual Description : Amber, brilliant.Olfactory Description : Sweet and spicy notes Gustatory Description : Ratafia de Champagne reveals sweet and spicy notes. It also has subtle, golden-brown touches of candied fruit and quince jelly.. "Allegrata" cocktail recipe : Mix 5 cl of Ratafia and 3 cl of orange juice, add 1 dash of lime and it's ready to be enjoyed!!! Did you know? The writer Alexancdre Dumas very much enjoyed Ratafia, which he nicknamed the "incomparable elixir". The most commonly accepted etymology of the word Ratafia is the latin expression "Rata Fiat" : "Let it be approved". At one time it was customary to share a drink when a business deal was concluded, and as such Ratafia was the drink consumed on this occasion. Se révèle en apéritif, seul ou en cocktail, avec des bouchées de foie gras, un melon.